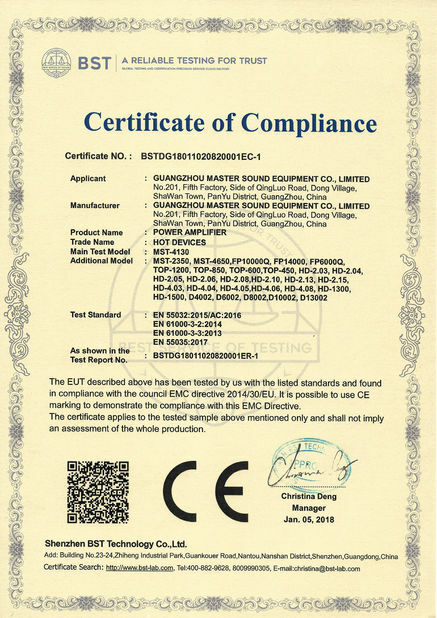 Plywood loudspeaker, high quality sound. high power handling capability, punch sound. 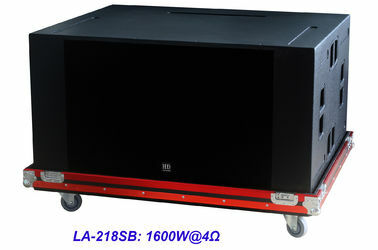 LA-218SB is a 2x18” horn loaded subwoofer made of 18mm thick plywood. 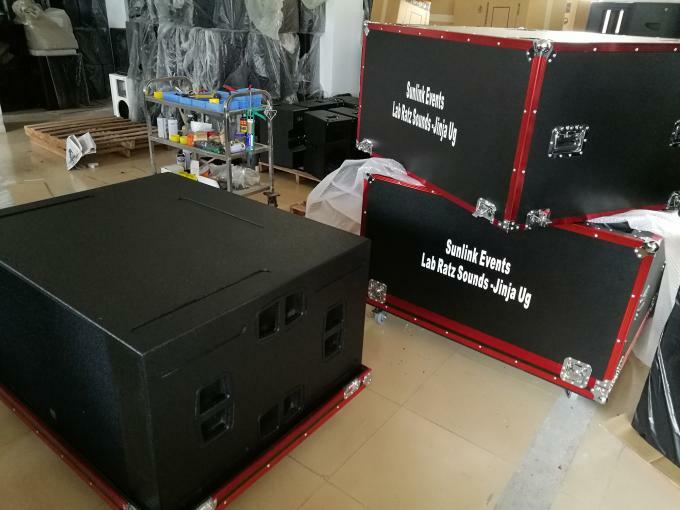 It is our best dual 18" subwoofer for touring concert, big living event, nightclub and disco. It features high sensitivity, high SPL, and more focused sound energy(further compressed by the horn). Slots at cabinet top and left side, wood strips at cabinet bottom and right side.You can stack the subwoofers vertically or horizontally, then, during music playing, the cabinets won't move easily. For outdoors applications, LA-218SB subwoofer can be driven by our light weight switching amplifier FP 14000(MST-2350: 2x2400W @ 8ohm, 2x4800W @ 4ohm) or analogue amplifier HD-1500(2x1500W @ 8ohm, 2x2250W @ 4ohm). 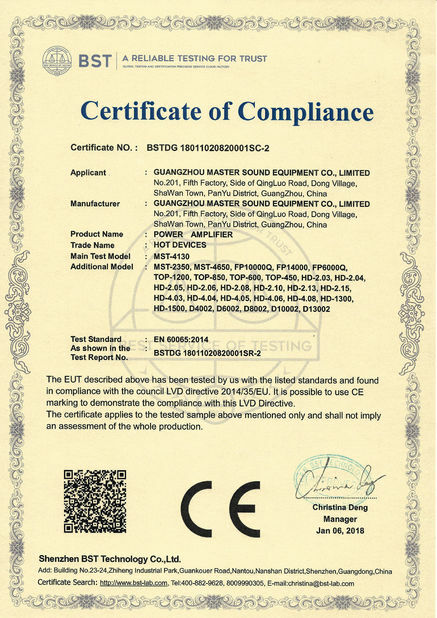 But, if weight matters and in order to make system configuration easy, FP 14000 will be a better option than HD-1500. 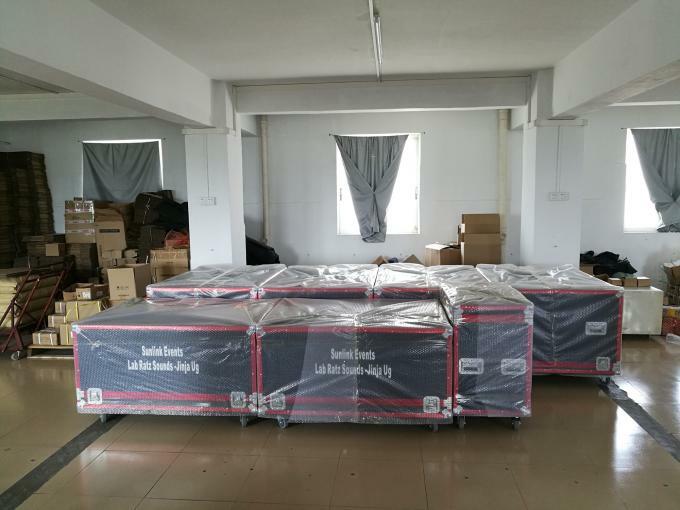 Together with LA-210, LA-212 line array speakers and LSC36(or LSC48) processor, it will be a complete and very good line array speaker system. 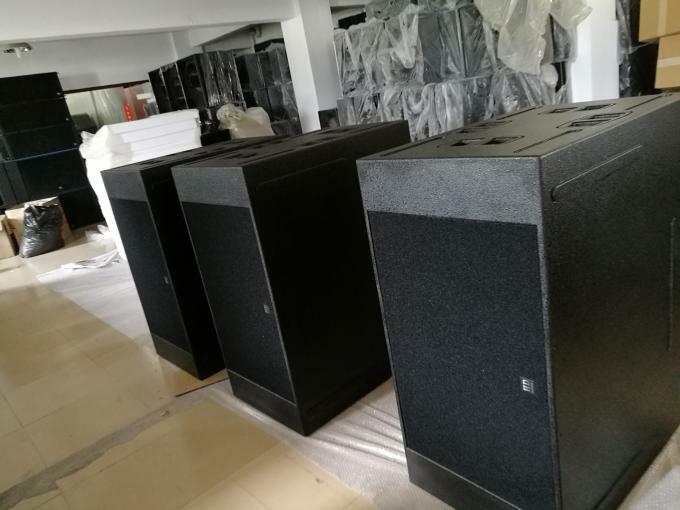 For indoors applications like nightclub and disco, direct reflex dual 18" subwoofer M-528B will be a better and economic option. 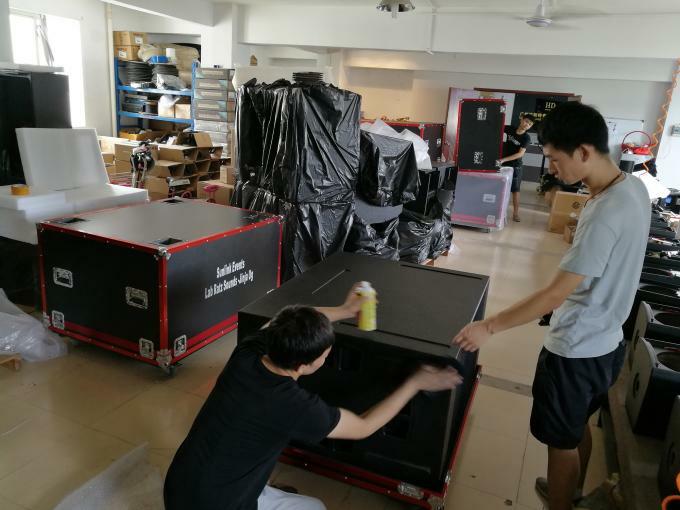 For easy transport,according to customer's requirement, loudspeaker rear board can be fixed with 4 castors with brake.To avoid damage and scratch during transport,according to customers’ requirement,we can put the items in flight cases. 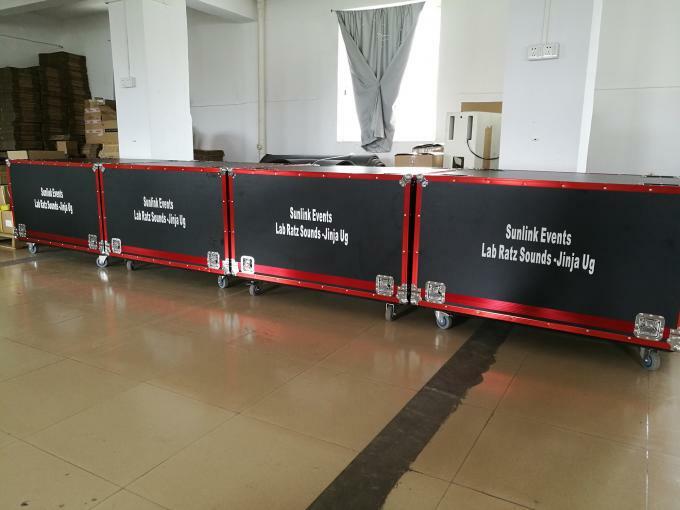 nightclub, disco, church, concert, show and living event.